There are few cooler auto brands than Jeep. The name is so well known that it is used to describe all off roaders and SUVs just like the brand Hoover is incorrectly used to describe all vaccum cleaners. Sadly with the exception of the ridiculously butch Jeep Wrangler or little Renegade entry point Jeep, it’s rare for the American brand to deliver vehicles that live up to its iconic name. 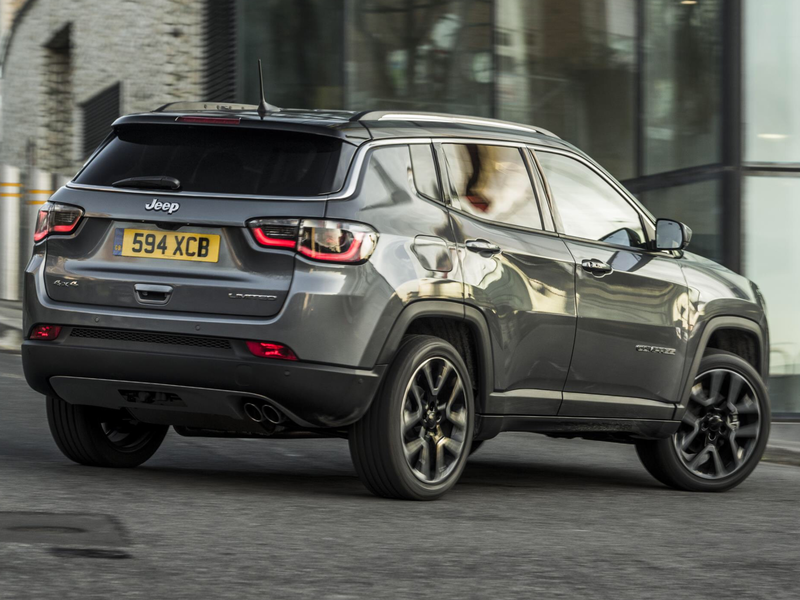 The FCA Fiat Chrysler collaboration is delivering reasonable machines to the market but it should be doing so much better. The Jeep brand with all its global kudos should be dukeing it out with the premium brands like Audi, BMW, Mercedes etc. but with a tiny dealer network in Ireland it simply isn’t at the races. 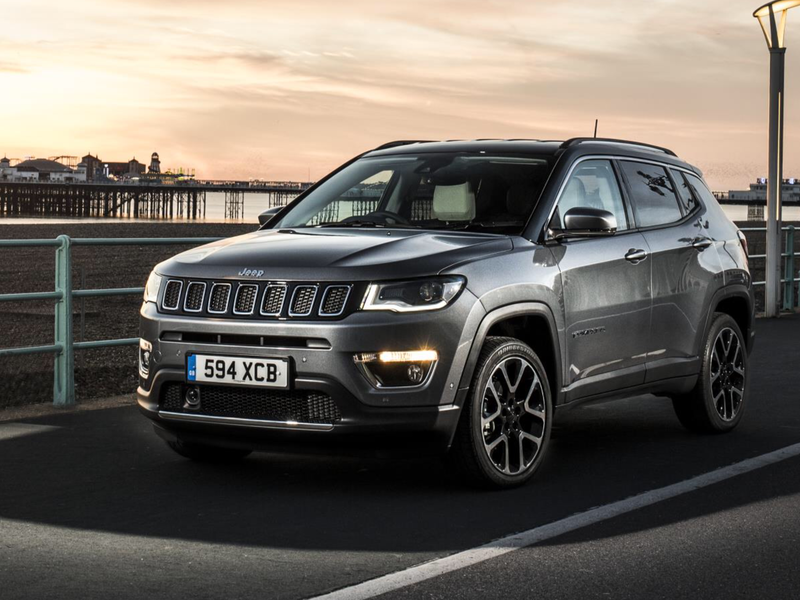 The car world doesn’t stand still so can the latest Jeep Compass turn its fortunes in Europe? 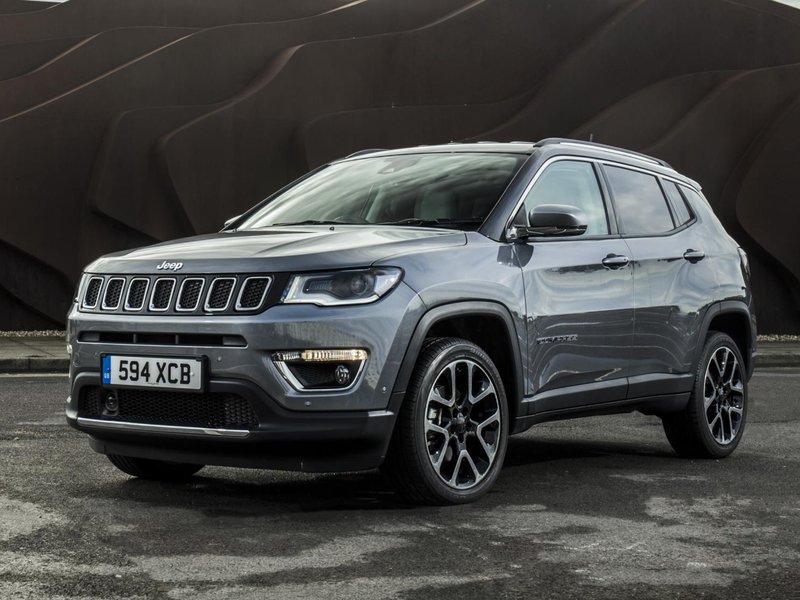 The Compass is a Qashqai/Tucson rival is gunning for a slice of a huge, and still growing, segment of the new car market. 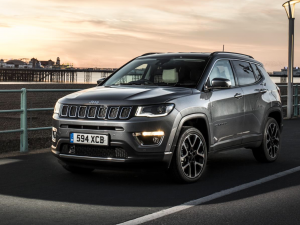 Squarely aimed at the front wheel drive SUV crossover buyer the Compass is an attractive bus. 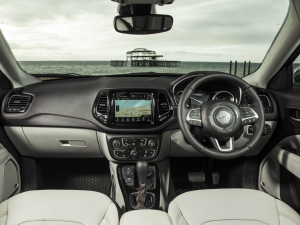 Only the range topping 2 litre Compass has an all wheel drive set up. 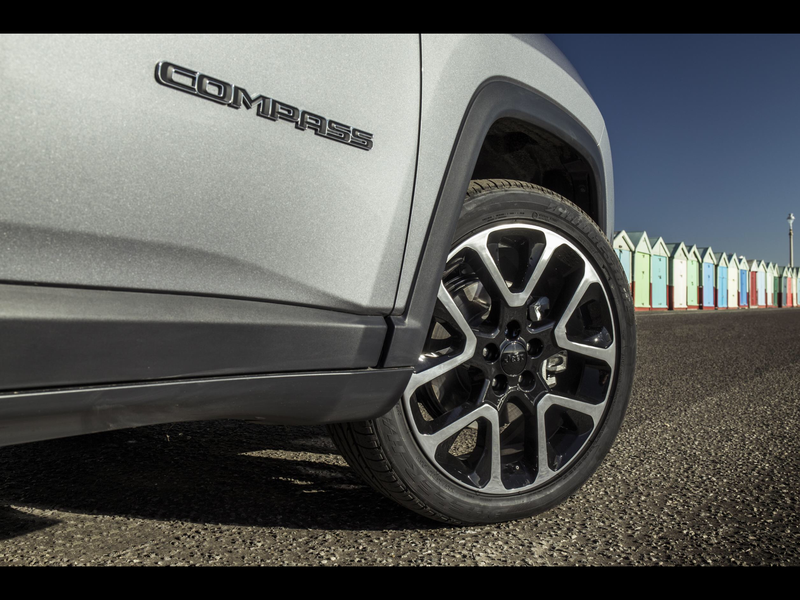 The vast majority of the range is front wheel drive… making the compass a faux by faux (sorry). 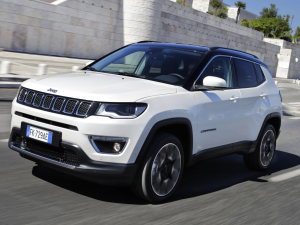 The Jeep Compass exterior is definitely its best feature. 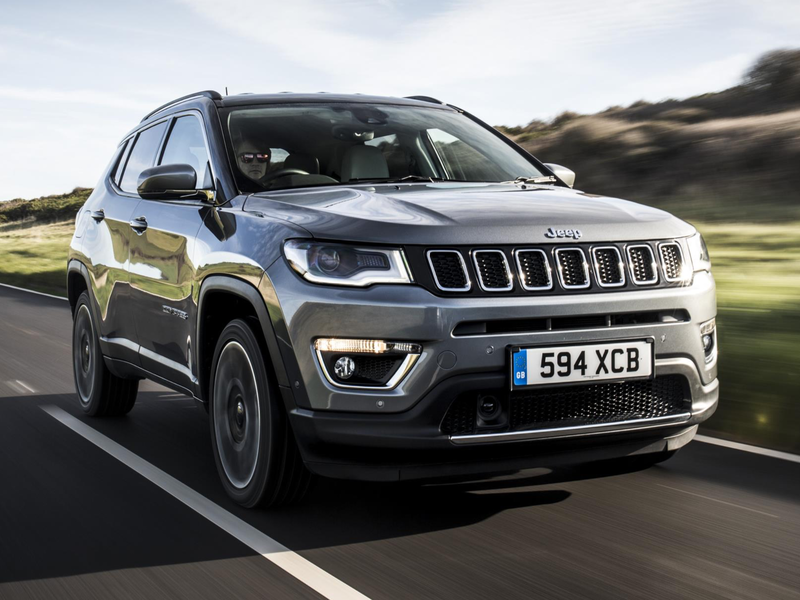 The corporate seven-slot grill looks smart and sets the car out from the crowd as a real Jeep and not some wannabe. The only trouble is the wannabes are quite good and many are better. 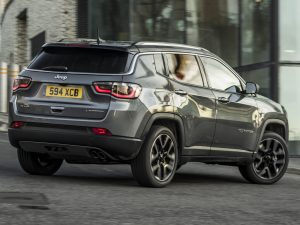 The five door has seating for five and in size terms sits in between the 4.2 metre long Renegade and 4.6 metre long Cherokee. 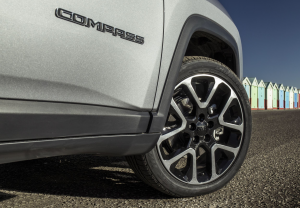 The Compass looks super sharp and its exterior design, it’s best asset is hard to fault. Inside, the ergonomics/layout is more cohesive than Jeeps of old. Jeep interiors have been shoddy and often were a total mess with switches and buttons that appeared to be at best randomly placed. My test car was in Limited trim, which is American for the highest grade. I had a few creature comforts like leather electrically heated and adjustable seats – that squeaked when adjusted. The leather multifunction steering wheel also made some interesting noises at times. Much to my OCD annoyance the steering wheel was slightly off centre when travelling in a straight line. The tracking may have been off, but there was no tyre wear evidence for this. The large centre touch screen looks better than it is in reality and even when switched off via a dash button, remained powered-on albeit with a darkened screen. The colour reversing camera has a bright display that sadly I couldn’t adjust at nighttime. Reverse in to a space at night and the screen lights up like an arc light, its so bright I think I may have even got a tan from it. Rear seat passengers get plenty of space and comfortable seats. My test car also had a three pin socket and a USB point in the back so connectivity is good. Beats audio delivered a good sound that was enhanced by a boot mounted sub woofer. The Compass came with a full size spare wheel under the boot floor. 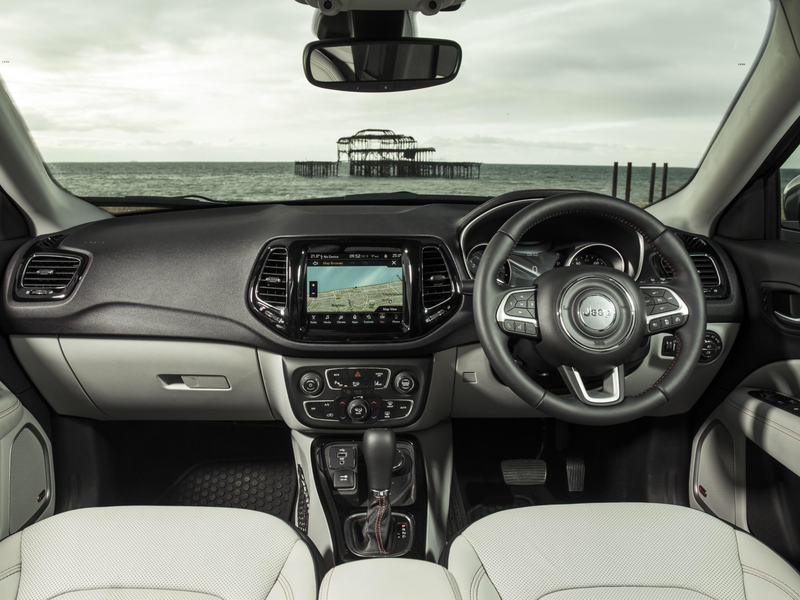 The Compass has two diesels and one petrol engine available. A 1.6 M-Jet front wheel drive and a 170hp 2 litre M-Jet with all wheel drive are the diesels. A lively 1.4 litre M-Air front wheel drive with 140hp/230nm is the quietest unit and perhaps the best choice for the low mileage town user. On the road the 120hp/320nm 1.6 diesel is torquey and quiet in the cruise, but not so at low speed. The four cylinder rattles and is quite agricultural at low revs. I found myself stalling the six-speed manual three times through little fault of my own and this annoyed me. The electronic parking brake is a bit dopey and slow to disengage. Unlike manual Jeeps of old the clutch is refreshingly light and the gearshift easy to use. 0-100km/h takes 11 seconds, that’s slightly slower than the 1.4 petrol’s 9.9 seconds. Suspension is set up quite soft yet when you attempt to tackle a speed hump at anything more than a crawl the suspension with thump and clunk over it in a less than absorbent off-roader-way. Prices start from €27,995 for the diesel Sport and €30,145 (C tax band) for the 140hp petrol in Longitude trim. A nine speed automatic is available only on the top spec Limited 170hp/380nm 4X4 as an option for €41,995. I liked the notion of having a Jeep far more than living with it. Walking up to the Jeep Compass is pleasant on the eyes and can even raise a smile, but once inside, well that’s a different story.